Accelerate your leadership performance and break your personal and professional barriers. It’s time for you to grow. Growth is the ultimate metric in business and life. However, we can’t grow to our fullest potential on our own. As human beings, we have limited insights, perspectives and skills. And we have fears, doubts, and self-sabotaging beliefs. We all have blind spots, and they limit our growth. To achieve greatness and go beyond where you are today, sometimes you need a wingman to push you and to give you the courage to break your personal barriers. Someone to give you an insight into the future that you may not have been able to envision on your own. Someone not just to encourage you, but to be brutally honest with you, and most importantly, to help you become brutally honest with yourself. As an executive coach, my mission is to help leaders like you achieve their greatest potential. I’m passionate about this mission because I love helping people overcome their fears and create a future that makes a difference for themselves and everyone they interact with. 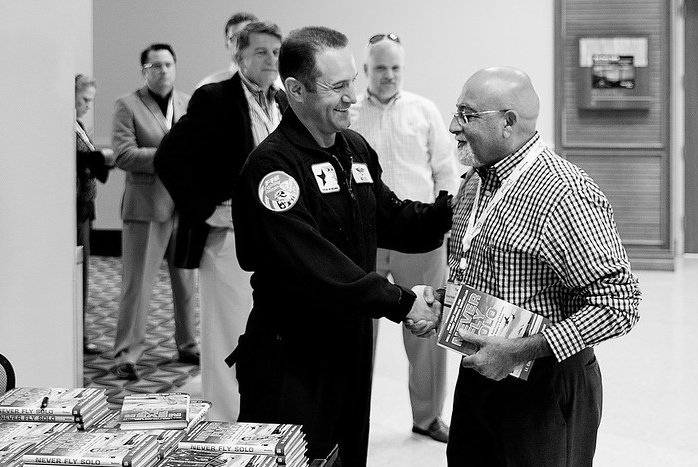 If you are willing and eager to grow and make an impact on those you lead – your co-workers, clients, partners, and family – then let me be your wingman. I’ll help you to fly.